Summer Simpson had episodes for years where her heart rate would suddenly elevate and in November the cause was found. Imagine being a competitive softball player and suddenly during a game, practice or workout having an “episode” where your heart starts racing abnormally fast, your hearing becomes muffled and your vision becomes limited. 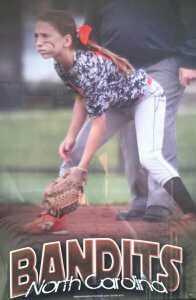 Summer plays for the Bandits NC team coached by her father, Gary. Scary, for sure, but surprisingly fairly common as the condition, normally non-life threatening, affects about one in 400 people and is called supraventricular tachycardia (SVT), a type of abnormal heart rhythm that starts in the chambers above the ventricles. 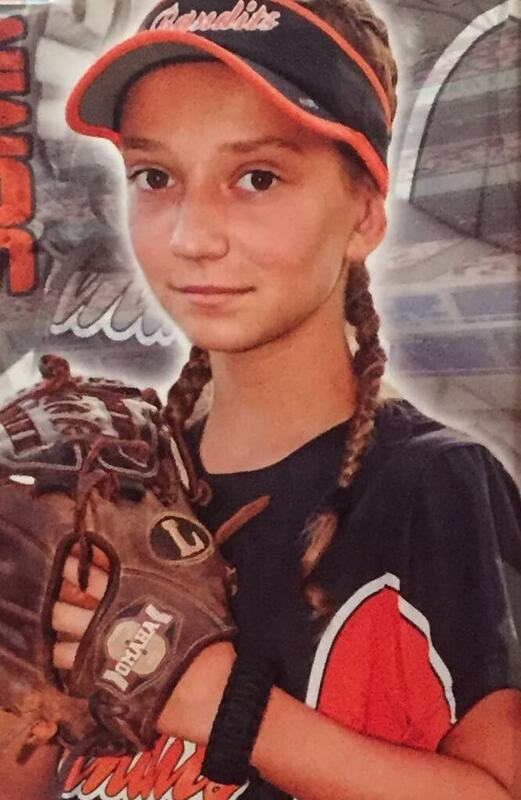 Below is the story of Summer Simpson, a promising young shortstop from Mocksville, North Carolina, who competes for the Bandits-North Carolina Fastpitch organization and plays for the travel ball team coached by her father, Gary Simpson. In November, 2018, at 14 years old, our youngest daughter Summer was diagnosed with Supraventricular Tachycardia (SVT). Not knowing what that condition was or what to expect…we had a ton of questions. When Summer was younger, she would routinely tell us that her heart was beating fast during her sporting activities. She complained of not only a rapid heart rate but also experienced “tunnel vision” and diminished hearing during the episode. 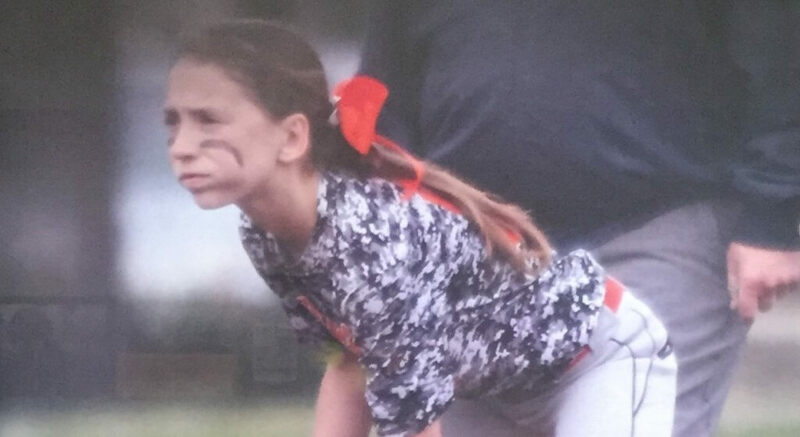 Be it in softball, gymnastics or soccer, Summer would appear "nervous" when her heart rate would suddenly elevate. Summer explained that during the episodes our voices sounded muffled and far off. Initially, competing in softball, gymnastics and soccer she acted as if she was nervous or anxious…so we just put it off as such. Being that the rapid heartbeats would happen randomly but usually during sports activities we just assumed that her heart was elevated due to activity or due to being anxious. Years prior to her diagnosis, at a routine yearly health check up with Summers pediatrician, we brought up the rapid heartbeats. The doctor said that these things were fairly common and that Summer would most likely grow out of it by her teenage years. For the next couple of years, we continued to bring up the concern with her pediatrician who eventually ordered an EKG. She had three separate EKG’s but all came back as normal. Fast forward about four or five years and the rapid heart rate was becoming more and more frequent and having more severe adverse effects. 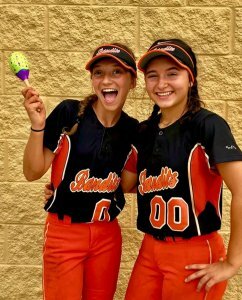 Summer, a very competitive athlete—playing at the highest level of club ball for the Bandits NC - Simpson team—was being affected during college camps and major game events. 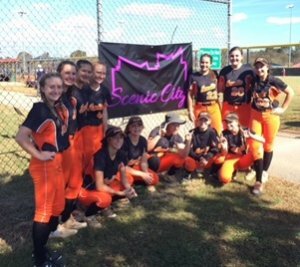 The Bandits NC - Simpson team at Scenic City in 2018. When we would question her about how she felt she would only say that her heart was beating really fast and that she was experiencing some difficulty in fully functioning at her full potential. Again, these occurrences were random but always during stressful situations like camps/clinics or big moments. Eventually, Summer was experiencing these attacks more frequently and during regular practice sessions. We realized that often times there was a “trigger” that started the rapid heart rate. Usually when she would make a quick throwing motion it would set it off. 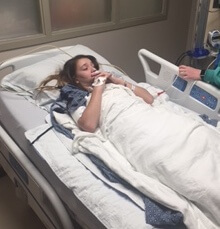 During the summer of 2018 at the Atlanta Legacy tournament, Summer had a severe episode. It was towards the end of a game when she came up and said that she felt bad and that her heart was racing. She was extremely pale and non-reactive so we immediately pulled her from the game and had her sit and rest. Summer complained that her ears were ringing and that she felt dizzy. It was really hot, so we thought that the heat was affecting her as well. Immediately, we iced her down and tended to her conditions medically. This was an extremely severe episode and was the scariest moment we had experienced thus far. We knew that we had to get her back to the doctors and learn more about this rapid heartbeat. After that episode in Georgia we contacted a cardiologist and made an appointment. Once again, an EKG was performed and as per usual, it came back as normal. At that point, the doctor was still not sure what was happening because she was only going off of the symptoms that we had described. The doctor decided that the next step was to have her wear a heart monitor to see if we could catch an episode and record the activity. Summer wore a heart monitor for several days while playing in a showcase tournament and the monitor recorded her heartrate during that time. We then shipped the monitor off to the lab for the doctors to look at the heart rate activity. The results showed that Summer was suffering from Supraventricular Tachycardia (SVT). The monitor indicated that she was recorded at 266 beats per minute with the attack lasting about 1.5 hours. This was quite alarming information. It was really frightening to learn that there was indeed something wrong with her but at the same time it was a relief to finally found out why these episodes were occurring. Summer was then referred to a pediatric cardiologist at Brenner’s Children’s Hospital that specialized in SVT. The doctor gave us various options on how to treat the SVT. Summer in recovery after the surgery in February. She was out of softball for only about a week. One option was to go on a daily medication called Atenolol. Atenolol is a type of Beta Blocker that treats irregular heartbeats and also treats high blood pressure and chest pain. We also discussed performing breathing techniques called Vagal maneuvers. A Vagal maneuver is a bearing-down breathing technique where you squeeze your stomach muscles but you don’t let the air out. This is an attempt to slow down the fast heart rate. The remaining option was to perform a catheter ablation. This is a procedure that involves going up through the femoral vein all the way up to the heart. At that point, electrical impulses try to induce the arrhythmia in order to identify the trouble areas. Then the abnormal tissue causing the issues is destroyed, therefore, eliminating the arrhythmia. Hearing that your child needed to have a heart procedure is certainly upsetting. We had many questions about the risks of this procedure. We are talking about a very active kid who plays softball at the highest level and has collegiate aspirations to be a DI player. How would this affect her dreams? The surgeon started explaining how the surgery would take place and what we could expect. We learned that it is a fairly common procedure and while there were some risks involved, it was typically a successful procedure and if it was successful then it typically completely cured the arrhythmia. As a family we discussed our options and how we wanted to proceed. As parents, we were leaning towards using the medicine to control the arrhythmia mainly because the idea of a heart procedure on your 14-year old child was daunting. However, Summer was adamant that she wanted the surgery. She stated that she was not interested in continuing to have these episodes if there was a procedure that could cure her of it. Since she was the one dealing with these attacks, we decided that we really needed to take her thoughts into deep consideration. As a family we then decided that she would indeed have the catheter ablation procedure. Today, Summer (left) seen her with Bandits teammate London Dirks, is back on the field and doing--and playing--great. In February, 2019 Summer was admitted to Brenner’s Children’s Hospital to undergo her procedure. The hospital regularly gave us updates on her progress which was very comforting. Finally. the procedure was over and we were allowed to see her. Upon discussing the procedure with the doctor, we learned that the ablation process was completely successful and after a short window of recovery (seven or eight days) Summer would be allowed to return to her regular activities. We couldn’t have been happier with the outcome and were relieved to know that Summer would be able to continue playing her favorite sport and continue to be the active playful kid that she has always been. Now almost six weeks post-surgery and several middle school games under her belt with no signs of SVT, we’re happy to say prayers were answered and things are going well. She’s been working hard and back on the ball field. To learn more about symptoms, causes and treatment of supraventricular tachycardia click HERE.